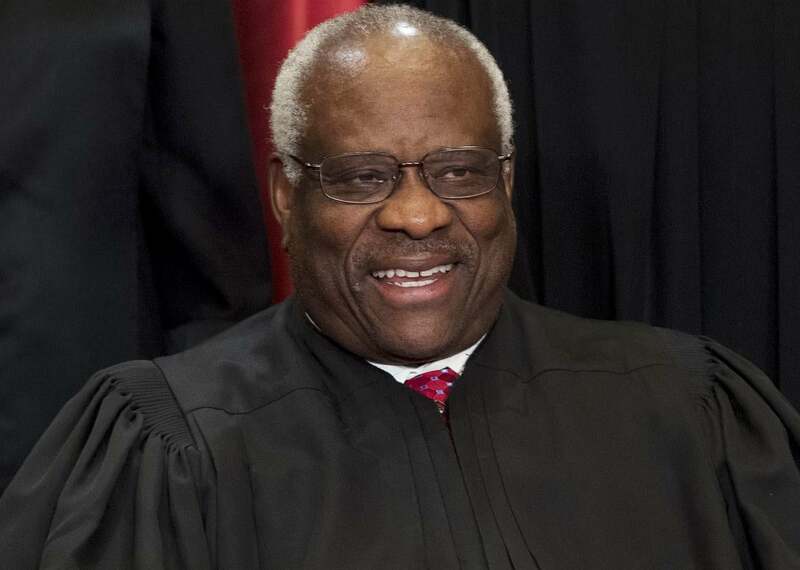 Clarence Thomas has strongly objected to the court’s refusal to take up the appeal in a hotly contested California case that would have clarified the contours of Heller. There is, of course, another branch of government that has the institutional capacity to consider the relationship between guns and personal liberty. This entity might do so free from the encumbrances of inflamed popular sentiment and the scourge of corrosive dark money, and could perhaps even use actual statistics—data the U.S. Centers for Disease Control and Prevention has been bullied into staying away from. This magical arm of our federal apparatus would be the Supreme Court, which unleashed upon the nation in 2008, in District of Columbia v. Heller, the previously undiscovered constitutional proposition that the right to bear arms is an individual one. Then, two years later, in McDonald v. City of Chicago, the court told us that the rule enunciated in Heller applied in all the states and not just in the District of Columbia. The Supreme Court, then, has both announced that there is a personal right to bear arms, which is what the gun lobby had been begging for, and also announced that it is permissible to regulate that right, which is what government has continued to do. Indeed, lower courts continue to uphold all sorts of regulations and the gun lobby continues to hoot and holler that they are all unconstitutional. All the while, the Supreme Court has refused to act, leaving a massive Scalia-shaped hole in the doctrine. We know now that we have a “right” and that it implicates our “freedom,” but the Supreme Court has left us to guess at what the contours of that right and that freedom might be. And into that vacuum, the gun industry has continued to promote and froth up a mythology about the necessity of armed vigilantes pushing back on a tyrannical government, a mythology disproved once and for all by the events in Las Vegas, as Matt Taibbi notes in Rolling Stone. Most Americans desperately want at least some reasonable gun regulations: background checks, limited magazine capacity, and other easy fixes that would in no way run afoul of the Scalia principle. But they have been convinced by a craven and self-interested gun lobby that Heller said what it didn’t say: that any regulation of any weapon violates the Constitution. That is perfectly false. And the court itself could put that wrongheaded notion to rest in a hot minute. It’s not just gun opponents who find this frustrating. Gun nuts hate it, too. Despite ample opportunity to clarify and refine which gun regulations (and such regulations have existed since the nation’s founding) might still apply to “dangerous and unusual weapons” in the post-Heller age, the court has stayed out of the gun business, this despite the lower courts giving them chance after chance to weigh in. As Adam Winkler of the UCLA School of Law has suggested, we may be at an impasse because: 1) the four liberal justices are happy with the status quo, which allows regulation to continue, 2) most of the conservative justices want to expand the right announced in Heller, and 3) either Anthony Kennedy or John Roberts (or perhaps both Kennedy and Roberts) is not inclined to expand that right, which is why, for instance, they do not vote to strike down the assault weapons ban. The National Rifle Association’s vision may still prevail, and there are cases teed up if the court wants to take them on. One of these is Kolbe v. Hogan, a challenge to Maryland’s assault weapons ban. In another much-watched case, the D.C. Circuit struck down as unconstitutional the requirement that gun owners must show “good reason” to obtain a concealed carry permit. But according to reports, the D.C. attorney general has decided not to appeal that ruling, perhaps an indication that pro-regulation advocates fear such an appeal could imperil the gun control cause more broadly. In other words, they’re afraid that the political stories we are told about guns are outpacing the constitutional ones and that there may be justices willing to match the Constitution to the propaganda. The high court opened up a can of worms with Heller. Those worms are armed and they seem to be of the view that they cannot be regulated in any way. This gives cowardly Republicans in Congress cover to shrug and say that when they do nothing of any sort to ensure that we don’t have a mass shooting a day in America, it’s because freedom and the Constitution mean that—as Chuck Grassley suggested this week in the aftermath of Las Vegas—the right to bear arms cannot be regulated. If someone tells you the courts have tied our hands on gun control, they are lying. And if the Supreme Court won’t step in to clarify what regulations are permissible, they are colluding in the lie. Let’s also be clear about one last fact: The same dark money that has poisoned the congressional debate over gun control is polluting the work of the judicial branch itself. The NRA started unprecedented campaigns to derail the Supreme Court confirmations of Sonia Sotomayor and then Elena Kagan over vanishingly thin evidence of anti-gun bias. They also bent over backward to finance efforts to block Merrick Garland’s confirmation. Massive amounts of money are deployed in ad buys that promote the false gun industry narrative that any effort to regulate guns is unconstitutional and that judges who are even willing to hear cases on these issues are anti-gun zealots. But at least courts have the capacity to publicly air and consider the competing interests Justice Scalia laid out in Heller: the fact that the Second Amendment on its face allows for both freedoms and regulations. Clearly, Republicans in Congress cannot even perform a pantomime of having such a conversation. This week, Chief Justice Roberts, in the context of a major gerrymandering case, bemoaned the possibility that inserting itself into heated political questions would impair the “status and integrity of the decisions of this Court in the eyes of the country.” But the court has already inserted itself into the center of the gun debate, in ways that have signaled that unspecified new rights cannot be regulated, until they can, but in unspecified ways. It’s clear to everyone that a supine Congress will do nothing to stand in the way of the gun lobby. But it’s past time we recognized that the Supreme Court, modeling cowardice in the face of policy uncertainty, has blood on its hands as well.